Guyana (from 1831, former British Guiana) became independent within the Commonwealth in 1966. The residence, at 52/53 Main Street, was bought in 1962 for about £29,000. 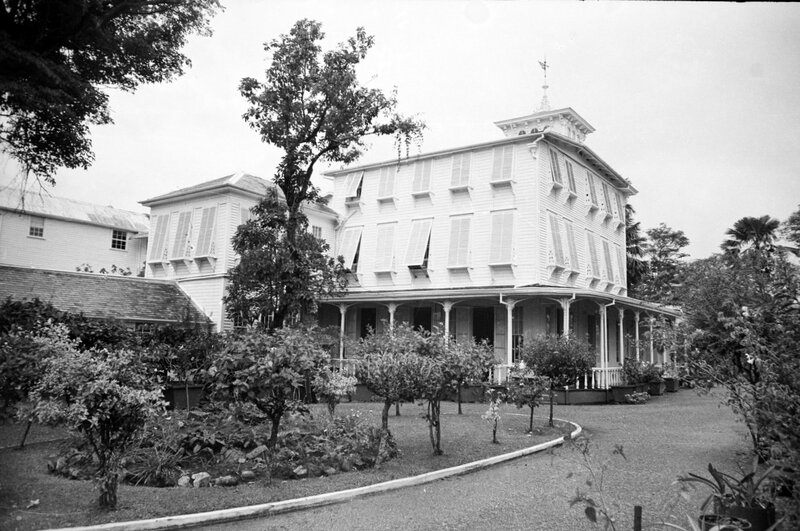 It is a large, mainly timber, white painted, spacious, typical Georgetown family house, built in about [?]1890. 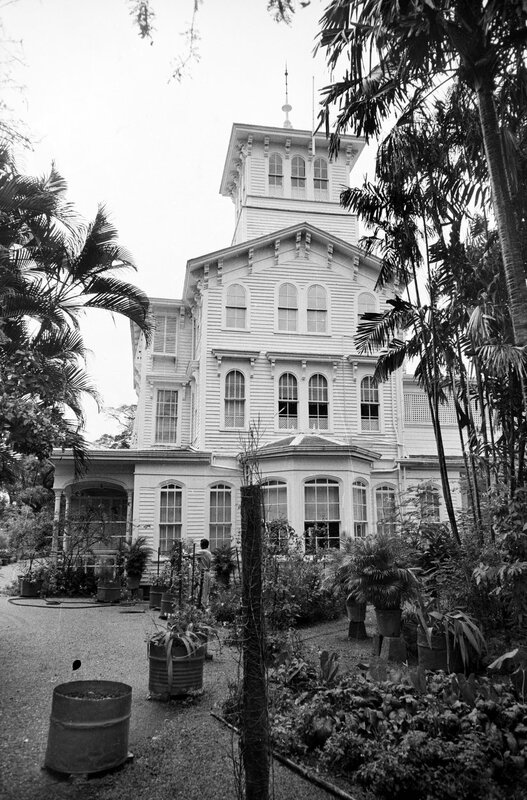 It was extensively renovated in the years after its acquisition in readiness to become the high commissioner’s residence, and again in the 1980s. 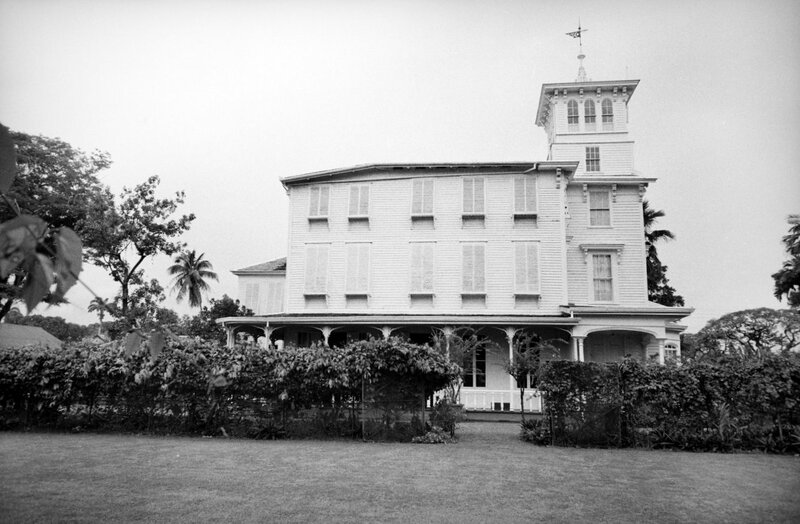 The house is listed by the National Trust of Guyana as of national importance. It became prohibitively expensive to manage and was sold in 2000 to the Guyanian government: it is now the Official Residence of the Prime Minister. A more economical residence was bought in Bel Air Gardens, an estate built in the late 1960s by Taylor Woodrow for senior management staff of Booker McConnell. 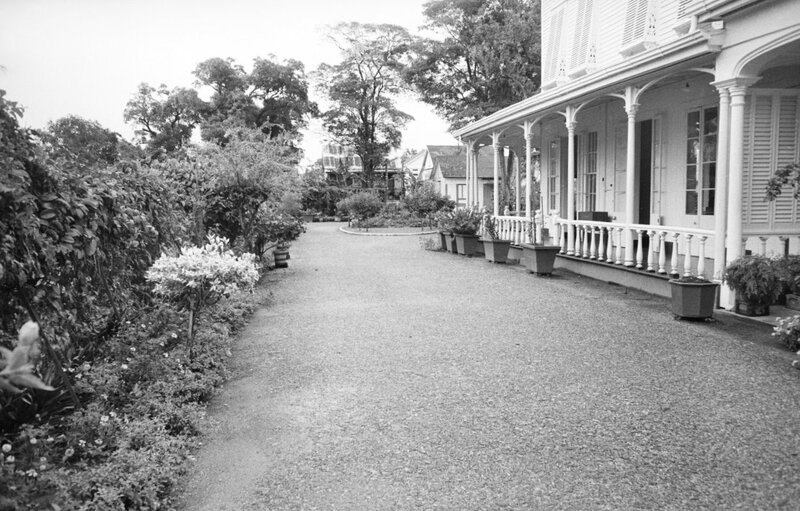 After that firm was nationalised in the 1970s, some of the estate properties were sold to private individuals, including the present Residence. The offices, at 44 Main Street and across the road from the former residence, were bought in the early 1960s for £17,000 and extended in 1973. It is a half-timber, half-concrete building that was renovated and altered in 1984. Residence,.? from the east, 1964.
? from the north east, 1964.
? from the north, 1964.
? north east corner, 1964.